Is an old mobster the key to the Gardner art heist? The FBI thinks so, and no, Monty Burns is not their suspect. They have detained Robert Gentile, a 75-year-old Hartford mobster who has a venerable arrest record beginning in the 1950s and going all the way through to his most recent arrest last month for selling prescription painkillers. 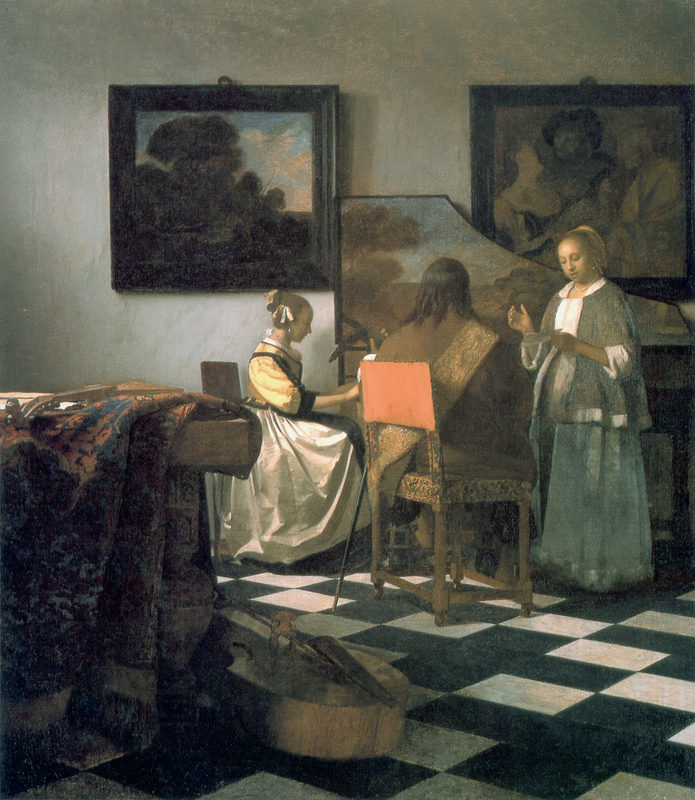 Assistant U.S. Attorney John Durham stated during a bail hearing in a Hartford District Court that they have “reason to believe that Mr. Gentile had some involvement with stolen property out of the District of Massachusetts.” That doesn’t mean they think he was directly involved in the theft of three Rembrandts, a Vermeer, a Manet, five Degas, and two historical artifacts from Boston’s Isabella Stewart Gardner Museum on St. Patrick’s Day night in 1990. They think he may have information about the theft based on his connections to a mafia crew that was working in Boston in the years after the theft. Durham said Gentile was associated with a crew active in Boston and led by Capo Robert Luisi, but associated with Philadelphia’s mafia family. It was Luisi who “made” Gentile by inducting him into the Philadelphia family, Durham said in court Tuesday. In Gentile’s basement, Durham said, FBI agents found police identification materials, uniforms, Tasers and police scanners — devices that criminal gangs often use in armored-car robberies. There also were weapons and ammunition. The two unknown men who pulled off the largest art theft in history also wore police uniforms and ID. That’s how they duped the security guard into letting them in and then letting them “arrest” him after they “recognized” him as a criminal with an outstanding warrant. The thieves told him to call the only other security guard to the security desk and then took them both to the basement where they tied them to pipes and duct-taped their hands, feet and mouths. 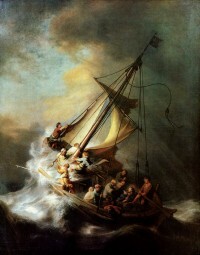 The entire museum was theirs, so they helped themselves to $500 million worth of art, including two extremely rare and important pieces: Rembrandt’s Storm on the Sea of Galilee, the only seascape he ever painted, and Vermeer’s The Concert, which is one of only 34 known works by the Dutch master. The investigation into the crime has been ongoing ever since. The FBI and the US Attorney’s Office have been working on the case with the Gardner’s Director of Security. Their primary focus is on recovering the works, not on making an arrest. The Gardner Museum offers a reward of $5 million for information leading to the recovery of the art in good condition, and the Feds offer complete confidentiality to any tipsters. A. Ryan McGuigan, Gentile’s lawyer, points out that given that enormous payday and the minimal risk to snitching, why would the old man not spill any information he has and claim the reward? He certainly wasn’t making $5 million selling prescription pills. The government is also putting pressure on Gentile by denying him bail, so that’s even more incentive for him to talk. He insists he doesn’t know a thing about the Gardner heist (and that the prescription drugs were for his personal use, not for sale, of course).